True wine aficionados know the secrets of Portugal's soil, but too many of the world's oenophiles don't know what they're missing. In a world long dominated by France, Spain, and Italy, Portugal's wines seem finally to have emerged from the shadows. True wine aficionados may already know the secrets of Portuguese soil, but a majority of wine drinkers don't know what they're missing. Centuries of economic isolation had prevented trade with countries like Spain and France, forcing Portuguese growers to perfect their own grape varieties. 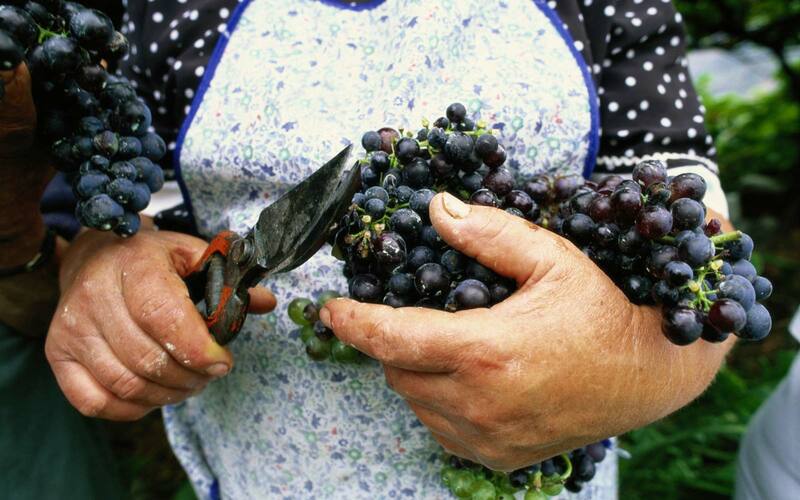 Portugal has more than 200 indigenous grapes, only a few of which have traveled beyond the country’s borders. And while much of the wine world has been focused on Cabernet Sauvignon and Chardonnay, Portugal has been developing a clutch of lesser known—yet no less impressive—wines. Whether you're an expert som or a total newbie, consider this your definitive guide to Portugal's wine scene. The most well-known wine region in Portugal is the Douro Valley. This rich river gorge just outside the city of Porto hugs the Douro River, and is famous for its port wines. The wines produced here have become legendary—in fact, UNESCO recently designated the valley a World Heritage site. To best experience the wines of the Douro Valley, take a trip along the Rota do Vinho do Porto. This collective assembles producers, wine-tasting shops, tourism accommodations, and restaurants all along the valley to create an immersive, grape-centric experience. Travelers can taste the esteemed port, as well as other Douro wines, Muscat, and sparkling varieties. Along the way, stop in to vineyards and wine cellars. Come harvest season, in September and October, it’s even possible to participate in the farm works, helping to cut the grapes from the vines and tread the fruit in the traditional wine press. Douro Valley is one of the only places in the world where grapes are still squashed the old fashioned way: by foot. Of course, it's possible to sample local ports without leaving the city of Porto (but do that only if you're short on time). Cross the river from Porto into Vila Nova de Gaia, which boasts a majority of the port storehouses and hosts frequent tastings. We especially love Porto in a bottle, Touriga Vinhos de Portugal, and Vinologia, for port samplings. Visitors can also take a quick trip to the outskirts of Porto to see a traditional quinta. Quintas are rustic country estates known for wine making. You'll find budget-friendly quintas and downright opulent properties, all soaked with country character and charm—and of course, wine. 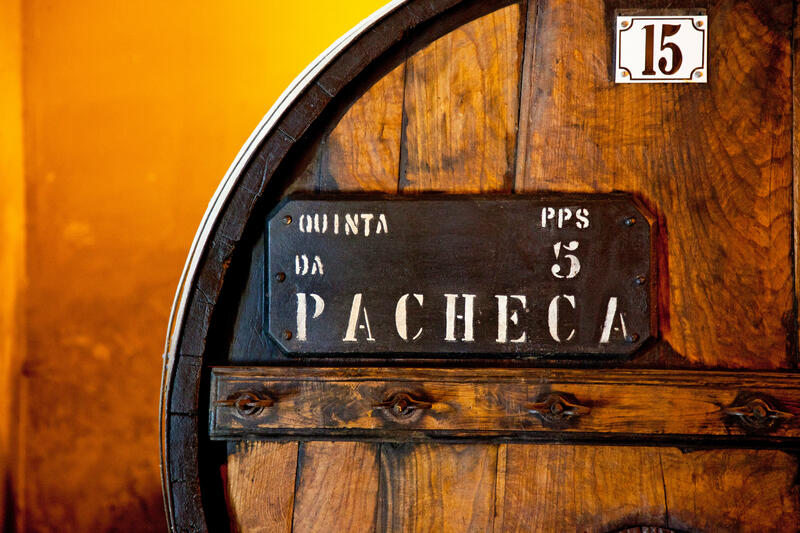 Near Porto, the best quintas to know are Quinta da Pacheca and Quinta de la Rosa. While in Portugal, be sure to sample vinho verde, the young "green wine" created from grapes grown on the cooler slopes of northwest Portugal. Vinho verde grapes are not allowed to mature before they're harvested, resulting in an acidic, floral finish with a light effervescence and just a touch of sweetness. The Vinho Verde Route leads travelers through the entire Minho region, south to the Vouga River. 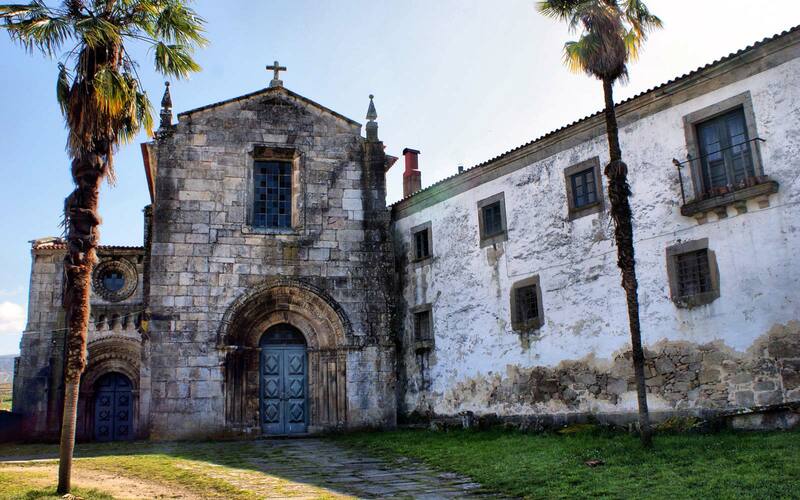 There are eight different itineraries to follow along the route, and five thematic itineraries, including cities and towns, the mountain route, the quintas route, the route of the monasteries, and the beach route. Whichever path you choose, be sure to make a stop at Quinta de Soalheiro, located in Melgaco—the most northern part of Portugal. It's one of the more charming and authentic quintas at which to sample vinho verde. Madeira is the other best-known wine from Portugal, produced in the tropical climate of one of Portugal's two island regions. Madeiras range from dry to sweet, and come in four major styles. Popular wine houses to know in Madeira are HM Borges, Henriques & Henriques, and J. Faria & Filhos. Experts recommend seeking out a glass of 10-year Madeira, which will be more complex and dynamic than less-developed blends. Though not known for its own production of wine, Lisbon is a central location where travelers can sample all the wines of Portugal at one of the city's many well-stocked wine bars. Small in size and cramped on space, BA Wine Bar do Bairro Alto proves that big things really do come in small packages. With more than 200 different wine bottles from which to choose, you'll be hard pressed to find something you don't like underneath one of its many corks. Wines are served by the glass, and a friendly and informative staff is on hand to match the perfect glass to your mood. For wine paired with a bit of regional history, visit the Old Pharmacy Wine Inn. 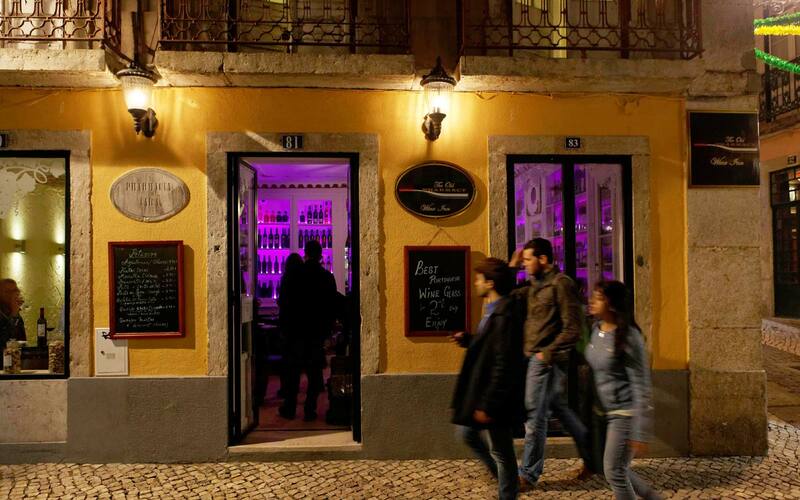 Built inside an early-20th-century apothecary, this is one of Lisbon's most popular wine bars. The interior has been kept relatively true to its original form, with cabinets that once held prescriptions now stocked with wine bottles. The majority of Portugal's wine regions are in play here. Light bites include charcuterie boards, which perfectly complement the wines in stock. A Lisbon favorite, the variety at Grapes & Bites is dizzying, with some 1,000 labels in stock. The wines, sold by the glass, are representative of almost all the wine regions in Portugal. The bar is built into an 18th-century coach house, with arched walls that are evocative of a wine cellar. (How apt.) A menu of traditional petiscos rounds out the experience.